Google Play Store Now Open for Progressive Web Apps — Chrome 72 for Android shipped the Trusted Web Activity feature meaning we can now distribute PWAs in the Google Play Store. PWAs On iOS 12.2 Beta: The Good, The Bad, and The "Not Sure Yet If Good" — The author argues this version of iOS addresses the “two biggest problems on PWAs on iOS”. Looking for an Alternative to Crashlytics? 🙋‍♀️ — Get reliable crash reporting for your mobile apps. Quickly search, segment, and prioritize the errors that affect your users. 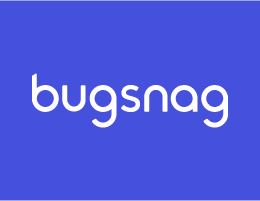 Bugsnag provides best in class support for all mobile platforms: Android, iOS, React Native, and Unity. Try it free. Apple Blocked Facebook From Running Its Internal iOS Apps — Apple’s Enterprise Program provides a way for developers to distribute internal apps (outside of the usual App Store method), yet earlier this week Facebook was found to be in breach of the program’s terms of agreement. As such Apple revoked Facebook’s distribution certficiate, resulting in internal mobile apps not loading. Google was also found to be in breach — however both Facebook and Google have since had their enterprise cetificates restored. How to Ship an App Rewrite Without Risking Your Entire Business — Uber engineers outline how they shipped two binaries in one Android app, enabling a safe rollout of our new driver app while maintaining support for the previous version. ▶ Ionic 4: Key Changes — A video summary of important changes for migrating from Ionic 3. Android Q Might Ship with More Privacy Protections — Some new security protections such as new clipboard limitations may be part of the next Android version. Flutter State Management Has Never Been Easier — Addressing best practices for managing state in a Flutter app. Swift: Avoiding Memory Leaks by Examples — A look at three situations where more is required of a developer to handle memory management in Swift. IMAGECON 2019: Transforming the Digital Experience. Registration Now Open — Join other developers and rich media experts for 2-days of sharing knowledge about creating great digital media experiences. Table Design Patterns On The Web — How to use the table design pattern to create/display tabular data on the web. Swift 5.0: What’s New, What’s Changed, What’s Missing, and What’s Next? — Version five of Swift is expected soon and this post speculates on what it will include. Mobile Warning for Large Websites — There is a a mobile Chrome flag that will warn you when the page is using a lot of data. A Real-Time Offline Ready Chat App written with GraphQL, AWS AppSync, and AWS Amplify — A complete app you might want to poke around in if you’re trying to bring these technologies together yourself. How Web Designers Can Contribute To Mobile-First Marketing — A look at the areas that web designers contribute to marketing and how to adapt their strategies to be mobile-first. What Will The Next Generation of App Stores Look Like?